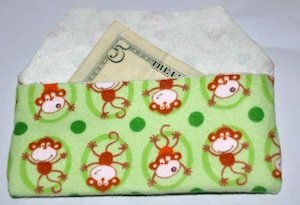 This sew an envelope tutorial can be used to place a gift card in, money tucked inside, a coupon envelope or whatever you need around the house. 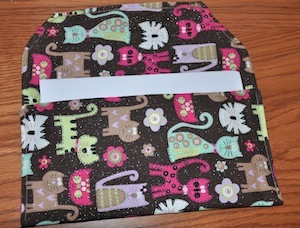 For this envelope you will need 2- 8x11 inch rectangles cut from fabric and one 8x11 inch rectangle from interfacing. 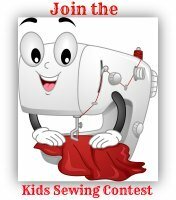 Sew interfacing to one rectangle. Stack the two fabric pieces together. Measure 1 inch from the corner and 2 1/2 inches down. Cut at an angle. 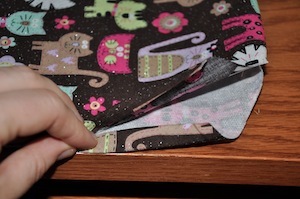 Place right sides together and sew edges leaving the top notched end open. Iron flat. Tuck notched edge in and pin in place. Sew in place and continue to top stitch along all edges. Fold bottom half up to meet cut edge. 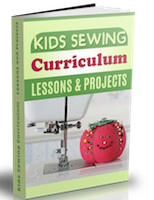 Sew both sides closed. 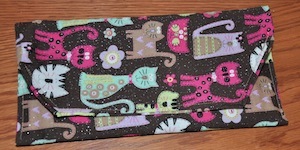 Finish of the project by adding a button, snap or Velcro to close.